영광 법성진 숲쟁이는 전라도지역에서 가장 번창한 법성포 포구와 마을을 보호하기 위한 법성진성(法聖鎭城)의 숲이다. 법성포(法聖浦)는 삼국시대부터 중국, 일본과의 해상 교통로가 되어온 대표적인 항구이자, 서해 칠산 앞바다에서 잡히는 조기가 들어오는 항구였다. 조기철이 되면 고깃배들로 파시를 이루었기 때문에 “영광 법성으로 돈 실러 가세”라는 말이 생길 정도로 많은 상인들이 모였다고 한다. 이 법성진 숲쟁이의 ‘쟁이’란 재, 즉 성(城)이라는 뜻으로 숲으로 된 성을 뜻하며 포구와 마을을 보호하는 방풍림의 역할을 한다. 이 숲은 법성진성, 포구와 어우러져 특별하고 아름다운 경관을 만들고 있으며, 다양한 민속행사도 이어지고 있어 조선시대 수군 진의 모습과 파시로 번창했던 법성진의 영광을 알려주는 등 역사적·문화사적 가치가 매우 뛰어난 명승지이다. 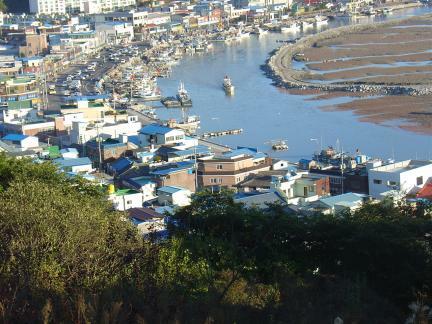 Beopseongpo has been one of the highly thriving ports of the Jeolla-do region since the Goryeo Dynasty (918-1392). It was also a major seaport on the west coast, serving vessels traveling to China and Japan since the Three Kingdoms Period (1st century B.C. - A.D. 7th century). In particular, the port was known for its seasonal fish market, trading top-quality yellow corvina caught from the nearby sea off Chilsan. The market was so prosperous that pack and back peddlers around the country used to say, “Let's go to Beopseong to have some money.” A tax warehouse was built here during the reign of King Seongjong (r. 981-997) of Goryeo. In 1398, the seventh year of the reign of its founder, King Taejo, the newborn Joseon government stationed regular naval troops here to defend the warehouse. 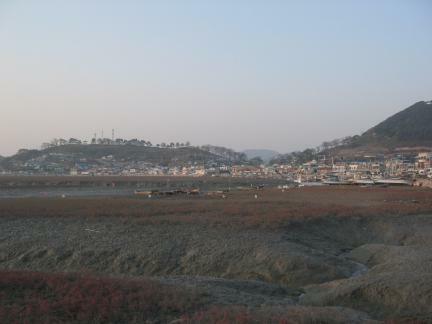 By the time of King Seongjong (r. 1469-1494) of Joseon, a navy fort had been built and named Beopseongjin as recorded in the 1485 edition of Gyeongguk daejeon (National Code). 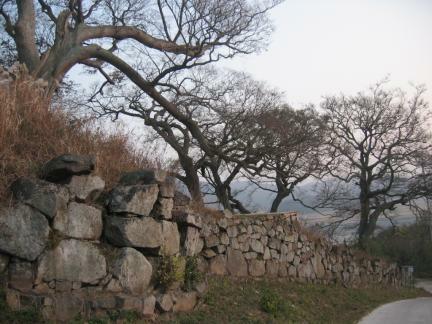 Stone walls were built around the fort in 1514, the ninth year of the reign of King Jungjong. The walls originally spanned approximately 462 meters, but most of them have been destroyed; the northern wall and some segments of the eastern and western walls remain in fairly good condition, however. 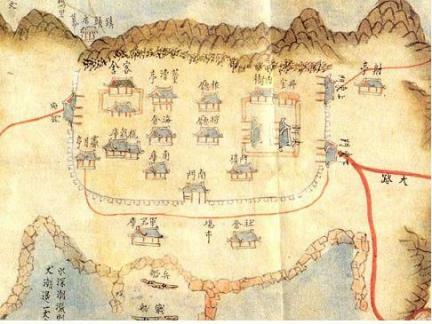 The inscriptions on the walls are valuable for the study of Joseon military fortresses. With most of the walls removed, a unique feature of the fort remains remarkably well preserved. The navy fort was a wooded facility, and the woods now cover the mountain ridges stretching some 300 meters on both sides of a local road leading to Hongnong. The woods have served as a windbreak protecting the inlet and the village. In the woods, the pack and back peddlers who gathered at the fish market commemorated the Dano (5th Day of the 5th Month) by holding rites for the dragon king and enjoying boating. These activities developed into the Dano Festival of Yeonggwang and various folklore events. 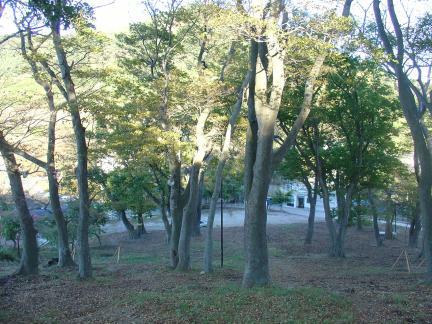 Beopseongjin was a unique military facility built in the woodlands. Though it is no longer used for defense, the woods and the inlet maintain their reputation as a scenic spot blessed with rich history and folk customs handed down across centuries.